Do you know the date that pic was taken? The picture was taken March 31, 1967. The spoiler was not really available in '67 but there may have been a few made by GM that were given to a few select racers. In some instances, some racers made their own. 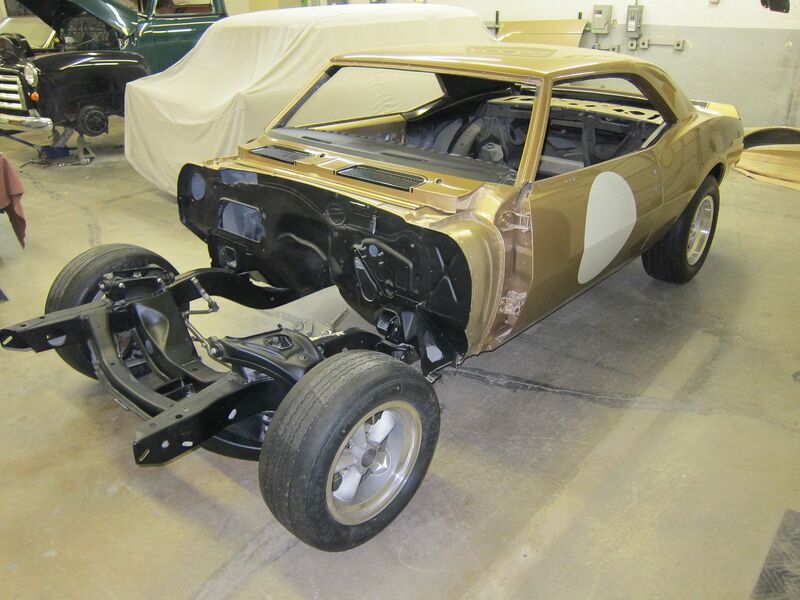 Bob Tucker, who built Joie Chitwood's Camaro, told me he was supplied with a blueprint for the spoiler prior to Daytona (late January '67) and he built it out of wood using the blueprint as a guide for the dimensions. thats a cool story. So there might be a wood one out there somewhere still? 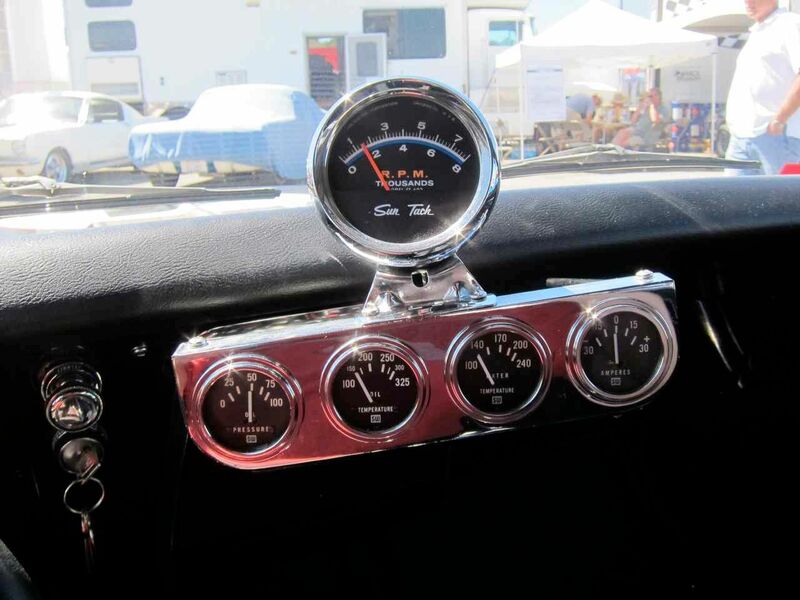 I am somewhat surprised with all the custom work the hot rodders were doing back then that he wouldn't of choose fiberglass. So it sounds like a spoiler on a 67, in 67 isn't unheard of, it just wouldn't have left the factory with one? Jon, I have been wanting to ask, are you putting that 1/4 mounted gas cap back on? Looks like you are creating the "as raced" look. 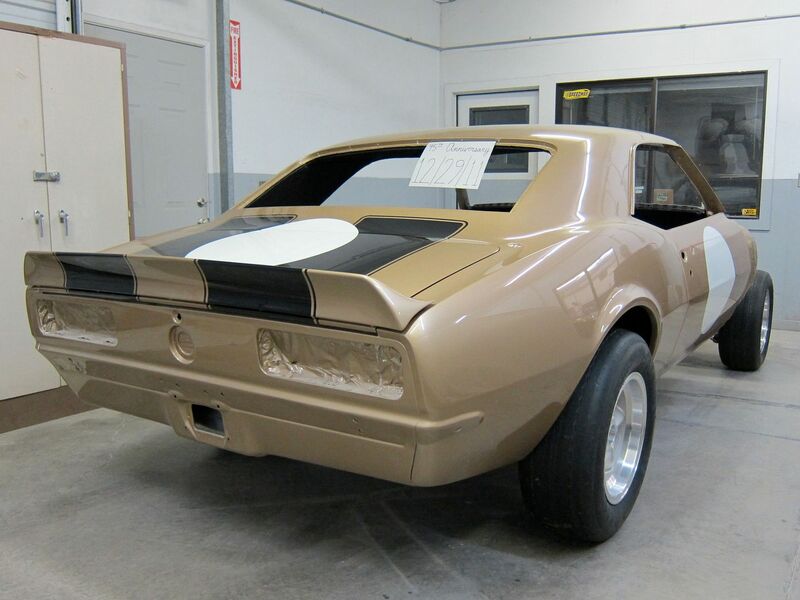 Correct, no factory installed spoilers in '67 on a regular production Camaro. Yes, I plan on putting on the flip-top gas cap and it is being restored as it was when it raced. Jon, is this your car back in the day? Yes, it is! Thanks for posting those links. 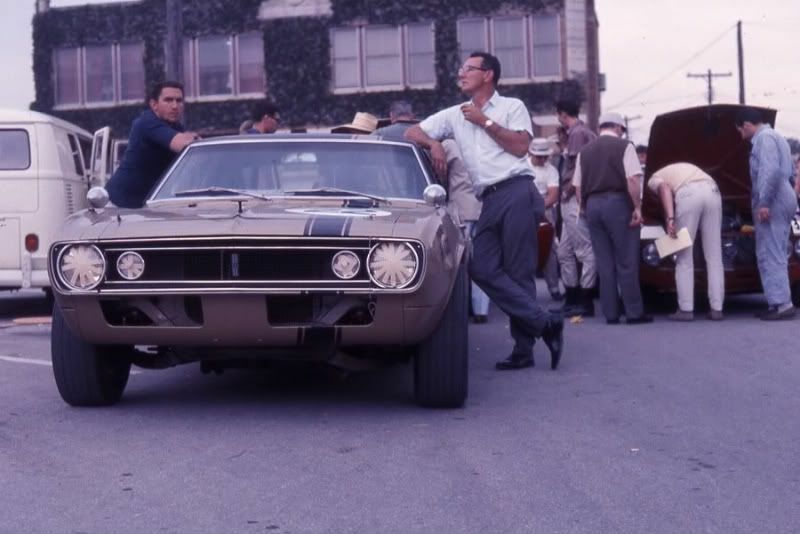 Here is a 67 Penkse car with a SS hood and 68 grille, is this one of the cars that went to Europe. There are many cars in this collection I have not seen, or have not seen in the color configurations pictured. Many 67 Camaro's some with 68 front ends. That is the car that Donohue drove in the race as #15 so the photo must be taken during a practice session. This car went to Terry Godsall's team in Canada after this. My official production date is 6/14/67. Doesn't exactly match my UOIT. No surprises otherwise. That's pretty interesting, Fred. Maybe on the UOIT it was when it was started and on the NCRS docs, it's when it was finished. Thant's what I was thinking. 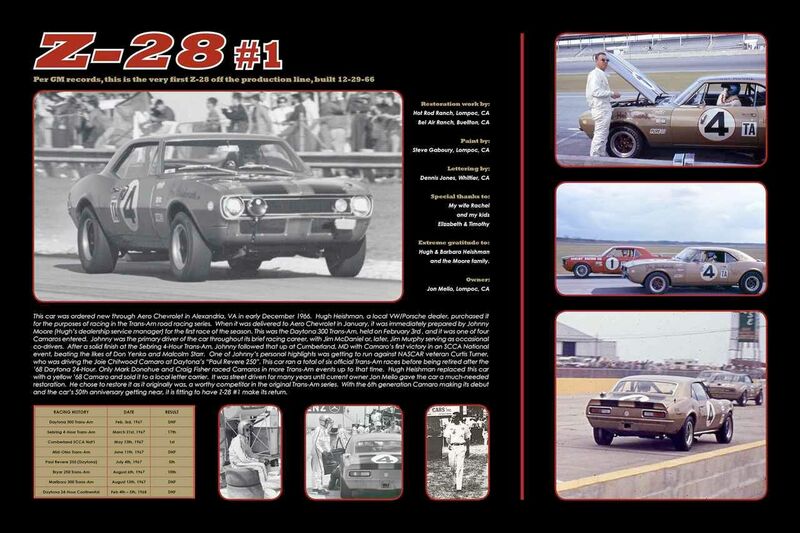 12-29-14 is the car's 48th anniversary of being built. I took a couple of pics earlier today. I like the gold and black stripe combo. Looks like a new paint job? I really like your car Jon. Seeing as it was a race car, it really doesn't look that far from being done if you are going to return it to the race version it was back in the day. Have you had any more luck trying to locate any info on the original motor? Looks great. Are they the new Coker repro tires? Thanks. Yes, it is a new lacquer paint job. I tried years ago to locate the car that got my original engine but did have not have any luck. Yes, the tires are the new Cokers. Same style as it raced on back in the day. Looking great Jon!! Thanks for posting the anniversary pics!! Thanks, Fred. Glad you enjoyed the pics. Jon great looking car, are you keeping the rear spoiler on, looks like it's off in the last pictures. Thanks, Vince. I am basically restoring the car to as it last raced so it will have the spoiler on it, although I personally like a '67 without spoilers. I may paint up an extra trunk lid without one. Stunning car, Jon....cant wait to see it in person. Very nice. What size TTs are those? Wow Jon, outstanding effort! That looks absolutely beautiful! I know its been a hard slog, but you're getting close now. Don't those Firestone Indy tires just finish it off perfectly. I know they're a bit more pricey, but to my mind they really complete the look. Its a bit of a shame Goodyear Bluestreaks don't have the small writing and blue stripe on them. They were a great look tire too. Very cool Jon, I love that car! Thanks, guys. I do really like the looks of the Firestones with the original style gold lettering and stripes. They compliment the rest of the car very nicely. 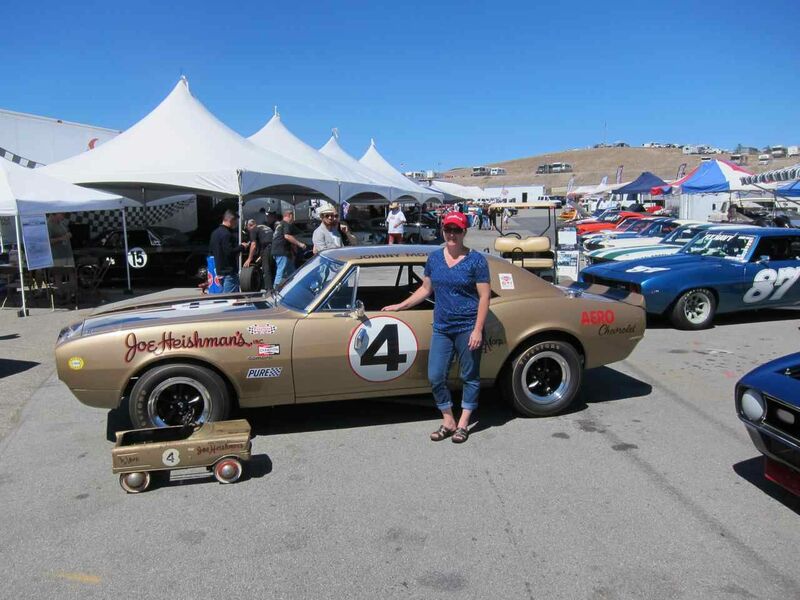 While my car used the Goodyear Bluestreaks for its first few races, it did switch over to Firestones for the later part of '67 and early '68 and that's the timeframe that I'm restoring it to. Any plans to show it in AACA race car class, Jon? Hershey would be a good place, hint hint. I haven't thought that far ahead, Doug. 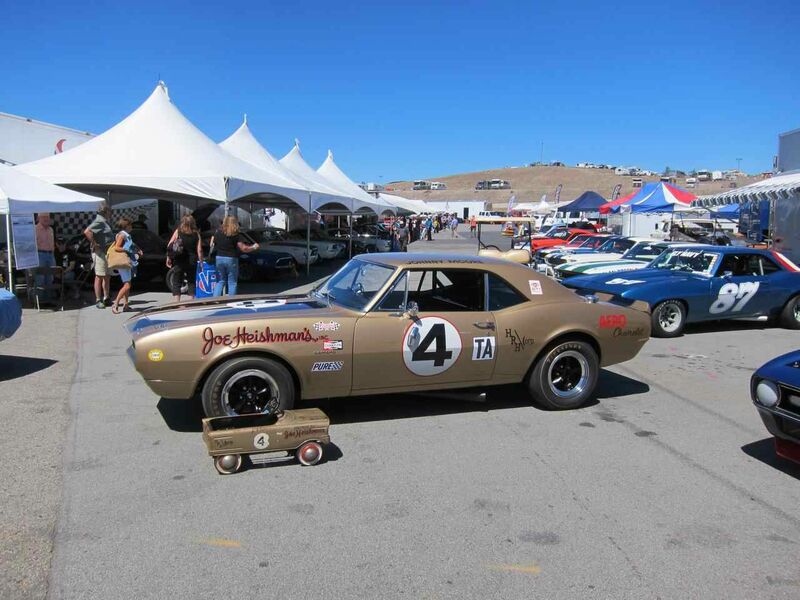 Are you going to have it at the Monterey Historics this year? I am planning on attending this year. I plan on attending but doubt I will have the car there. 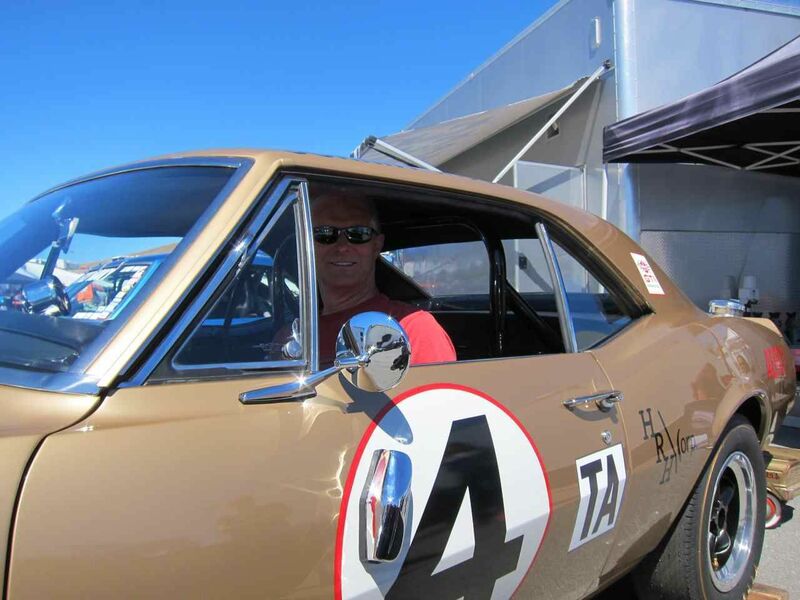 I will have the car at the Monterey Historics this year, just on display, not going to race it. For those coming to the track, stop in and say hello. So does that mean it is getting near completion? Awesome, congrats Jon. I know it was a long time coming. Hopefully you can take some pics at Monterey. Too long coming but it is what it is. Yes, I will post some pics from Monterey after the event. Congrats Jon. I know it was worth the wait! Here are some pics of the (finally) completed car, most of which are from Laguna Seca last week. car shown which was painted and lettered by the guy who did the car originally. 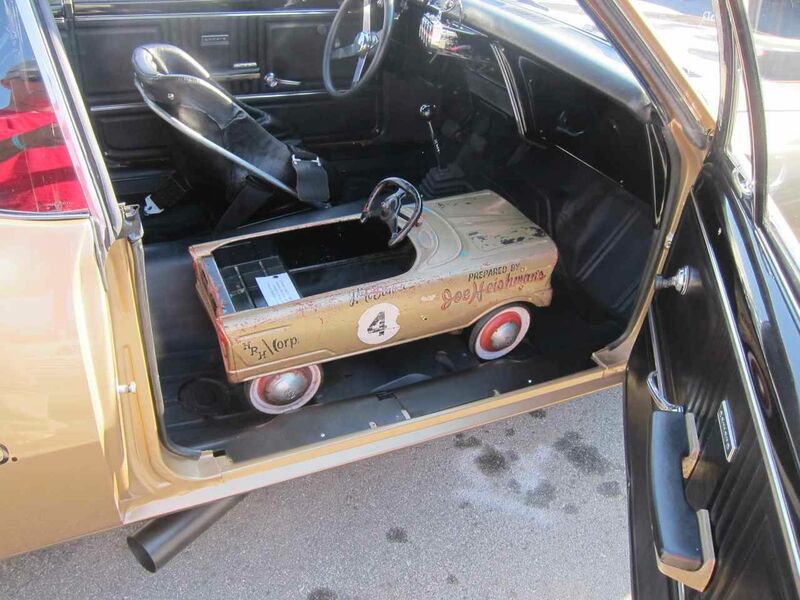 Kelly was kind enough to let me borrow the pedal car for the week. Yours truly in the catbird seat. 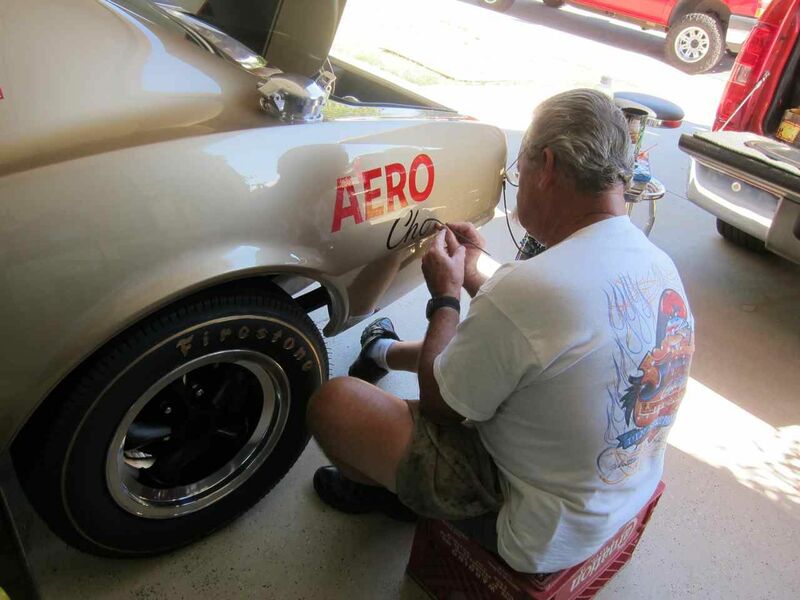 Here's Dennis Jones hand lettering the car. He did a great job. Mike Joy and crew did a nice video on the car which will air on Fox on September 26th. Many thanks to Matt Medina of Medina Motorsports for rolling out the red carpet for my daughter and me all week. That's Matt with the pedal car. Very cool Jon. Congrats on staying the course and getting her to the event. I look forward to seeing you behind the wheel at a track in the future. Very cool.. Car looks great man.. Congrats!! I love these types of postings. Congratulations! Thank you for preserving history...you should get an honorary doctorate for your work! Thanks, guys. I really appreciate the compliments. It was a long time getting to this point. Does on have to purchase some special VIP package to get back to where your car and the Alan Green car are sitting so you can see 'em up close? Love the simplicity of the interior and engine bay. Is the engine a DZ, or a destroked 350? Wow, just outstanding Jon, great effort! Truly amazing Jon! What a great job you did! Jon, so glad you are the care taker of this truly historic and amazing car. I love the history and the research you have put into early Z's. I am left breathless after seeing the progress you have made. I cannot think of a better person to take care of this car. Kudos! Thanks again to all. As for seeing the cars at the races, I think you pay about $40/day for full access to all the race cars. 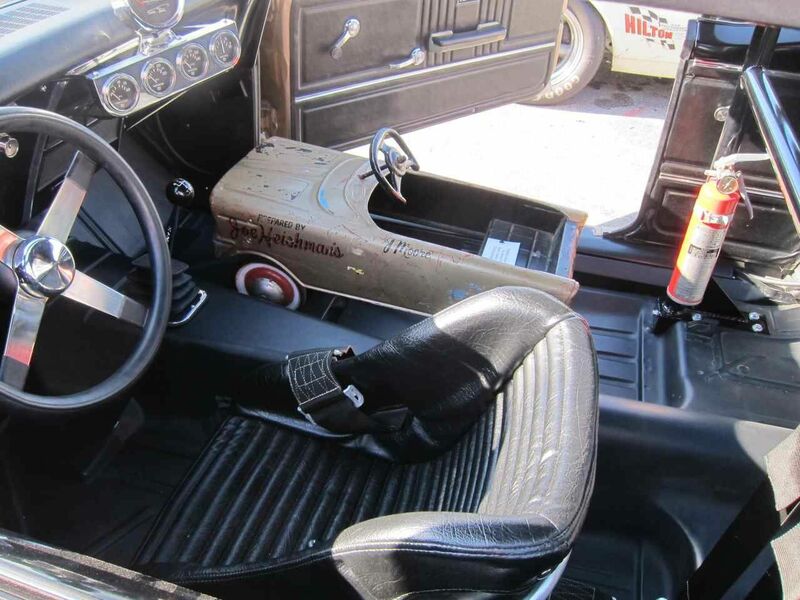 The original MO block for my car went into the '68 Camaro that replaced it on the race track. 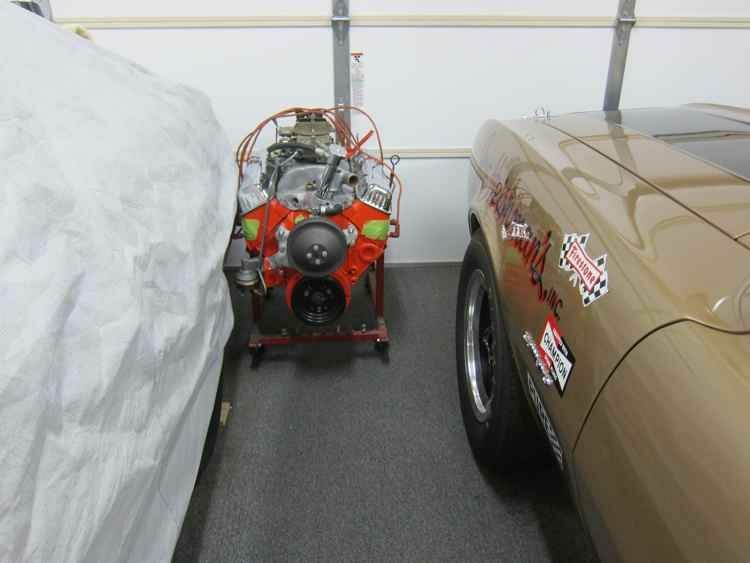 I have an original MO block from one of the early Yenko Zs (Bud Gates' race car) but installed a dated 657 block that was decked (no numbers) instead. Jon, you are late for Hershey registration this year. MAYBE next year? Darrell, I'm not going to race it in the near future. I want to show it while it still looks good but there are a lot of people who have told me they want to see it on the track. I got a nice write-up in the local paper. Resident displaying first-ever Z-28. This car found the right owner! Congrats, Jon. Thank you. Not sure if I will go to Hershey next year, Doug. I guess we'll see when the time comes. I'm curious about a statement that occurred in both articles you linked... "The car was built in 1966 as a race car and sold to a VW dealer in Virginia." ... I don't understand the significance to a 'VW dealer in Virginia'... What time frame was that? Did you buy it from the VW dealer after it was traded in? OR was the original purchaser of the car a 'vw dealer'?? OR? “And it’s too loud to be driving around on the street,” he added with a laugh. The original purchaser was a VW/Porsche dealer from Arlington, VA and he ordered the car back in 1966. I never bought it from a VW dealer. Sorry if that got a little confusing. 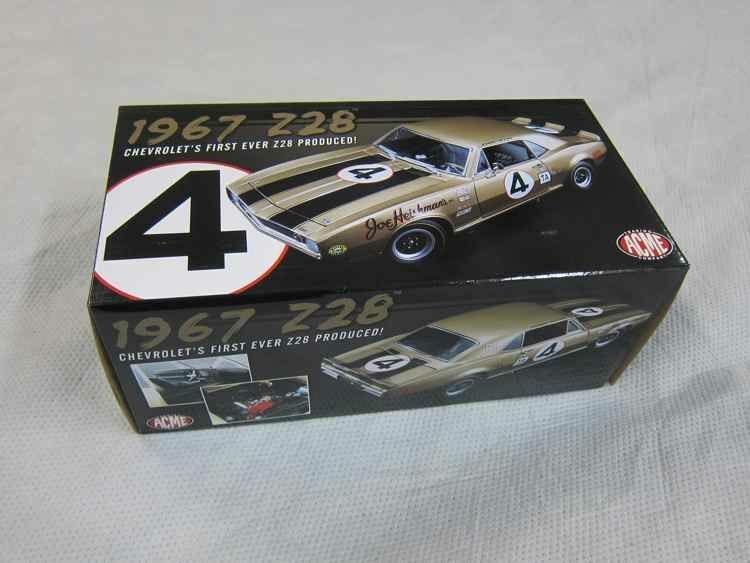 Thanks Jon... Then is it more accurate to say the original purchaser was a Chevy/racer/Camaro fan 'who happened to own a VW/Porsche dealership'?? (since I can't imagine a VW dealership purchasing a new Chevrolet to sell on their lot!).. 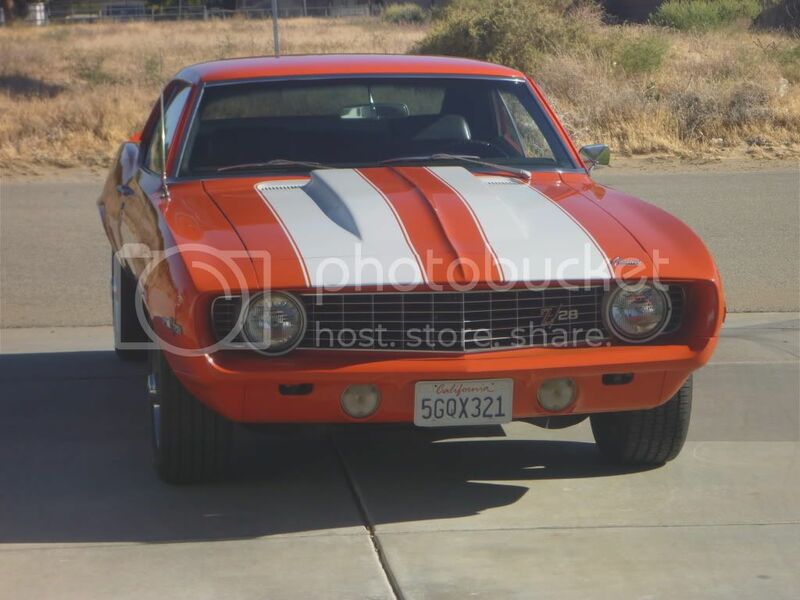 He also had a '69 race car that you will appreciate. 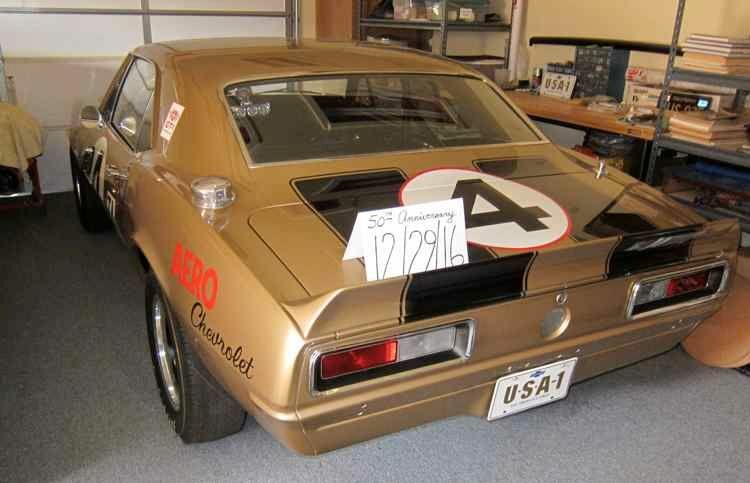 A Hugger Orange Z/28 RS that he raced in the A/Sedan class and IMSA. Thanks Jon!~ that was an interesting read.. not sure how I missed that one in the past! note: I also raced against another butternut yellow '67 Z28 in early 1970... .. but it was at a drag strip on Dauphin Island (south of Mobile AL)... we both ran in the 'G/SS' class (strictly stock).. and I usually nipped him thru the quarter..
Gary, I heard it was sold to somebody who put it back as a street car. Unfortunately it's not known what became of it after that. Extremely neat, Jon!! but we need to correct the subject line... 50th Anniversary..
Not quite there yet for this car but will be on 12-29-16. Wow Jon what a thrill it must be for you to be bringing this car back to as raced condition. This is such a significant car for our Camaro hobby. 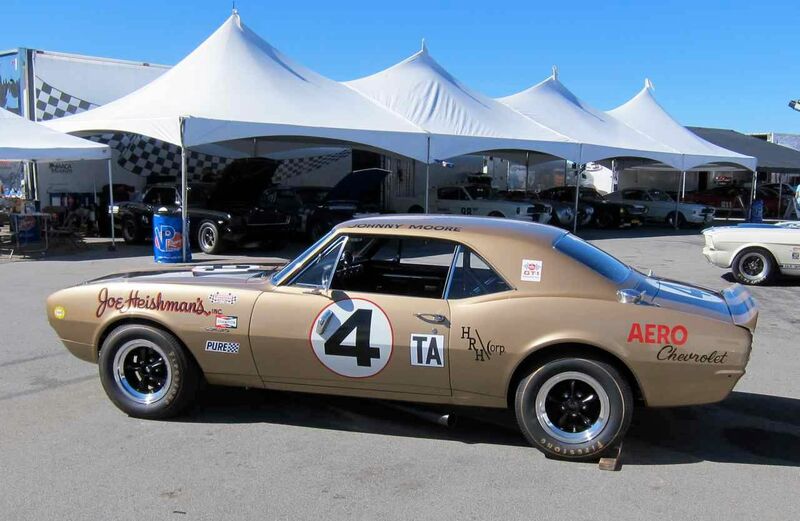 I am amazed this car survived and am very happy to see it being brought back to life as a race car. I feel honored that you would share this restoration us. Please keep sending pictures and good luck. The RIGHT guy owns it! Very cool. Hope it is a good representation of the original. I have purchased different die cast over the years, and seems like it doesn't matter how much you pay from a lot to a little, the details can be way off. Not a real excuse for the model makers: but, 20 years ago it cost about $25,000, or more, to bring a single model to market, regardless of scale. At that price it is wonder they remember to put four wheels on anything, let alone represent details. I don't particularly care for how they have the rear spoiler mounted and there might be a couple of other things that I wish were different but they had to work with existing tooling and, overall, I would say I'm pleased with it. I'm not a facebook guy, Ron. Is there a particular search you do to find stuff like that? You luck into a model marketing show and listen. Just part of the junk that floats around in my mind. Some escapes, some get lost, the rest just bounce around in there. Ron, the stuff that escapes probably feels lucky. Jon is the story about how you found it (IIRC you were inspecting car for someone else when they didn't want it, you had asked if they minded if you pursued the car) posted in this thread? WOW 12 years ago... STILL a great read!!! Yup, I turn 50 this November. Noticed I'm starting to get a little slower while time passes by quicker. It was a wonderful twist of fate such a significant car ended up in Mr. Mello's position. Wow, I didn't remember it being that long ago and I wrote it. The car made it onto the MSN webpage today. It will be in the December issue of Muscle Car Review magazine. Wow, those photos are gorgeous Jon! Did they send you digital copies to keep? I agree, best photo's so far. Great story Jon , and a lot of hard work,you should be very proud. Many thanks, guys. I do appreciate it. It's on the HOTROD magazine website also. Ron, your red car looks great and it's nice to see it get some press. I'd like to see your cars in person someday. You always do a nice job on them. Thanks Jon, Maybe I can get to MCACN next year.The only thing about that is its in November and there could be snow or ice on the road which makes me very nervous LOL. Those are lights used to illuminate the number, fun idea considering it ran Paul Revere/Daytona. Jon, I know it wouldn't be correct, but have you considered running Daisy's on it? Man that'd look awesome. The 200-S Daisy mags are nice but I'll stick with what it originally ran. Ron, I'll drive your truck and trailer for you next year. Everything will be fine. 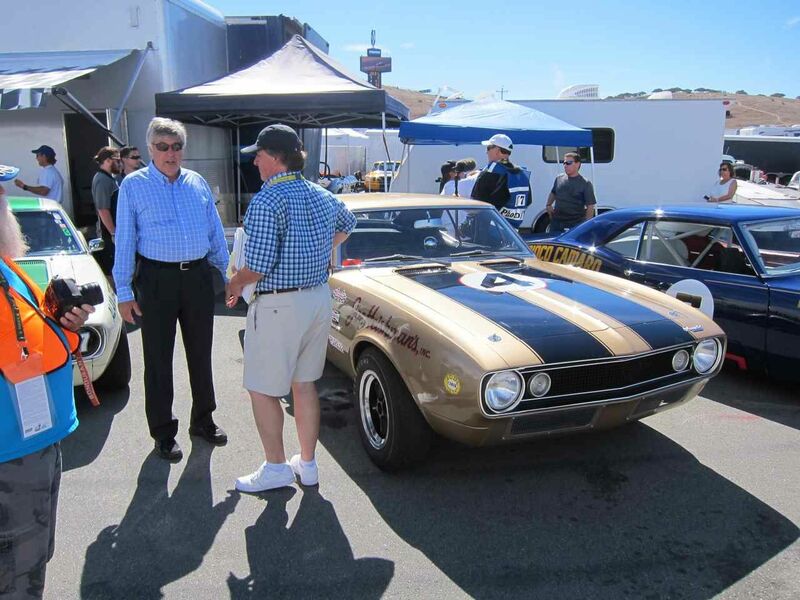 Beautiful car Jon, congratulations on completing the restoration of an important piece of history. You make us all proud. Truly appreciated, Ken. Thank you very much. Got my model in the mail yesterday! sweet die cast and loved reading the article in the Muscle Car Review. Awesome restoration. Really like the details the were used only on the endurance setups, like the light for the number, over a typical trans am setup. The 50th anniversary of my Z-28 is today. I'm sure glad I got it done in time. 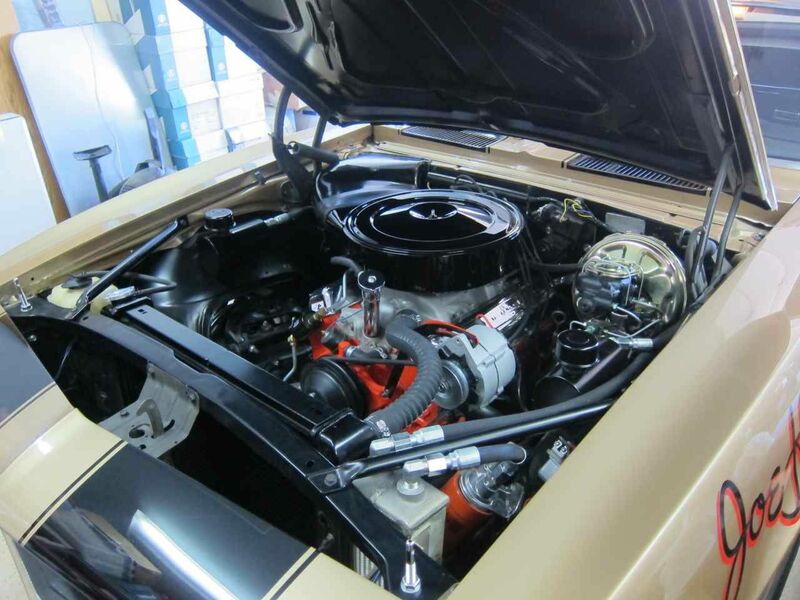 My Yenko Z-28 engine from the Bud Gates Trans-Am car will turn 50 tomorrow. Well, actually the car would be 50 but the engine was built 12-20-66. I sent the original owner, Hugh Heishman, one of these, which he really enjoyed.